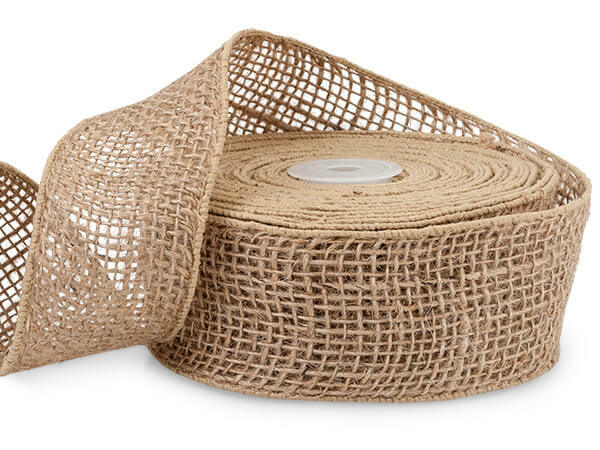 Wired Natural Burlap Ribbon has a beautiful sewn finished edge. This ribbon has an open weave center and holds it's shape to make beautiful bows. Because of the natural material colors will vary.